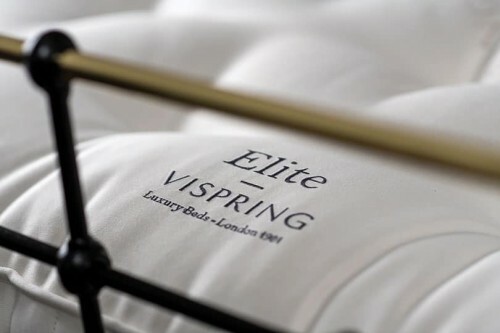 Vispring Mattresses | Wrought Iron and Brass Bed Co.
Hand crafting the perfect iron bed since 2003, we’ve become a bit of an expert, when it comes to the perfect night sleep. Sumptuously filled, with hand teased natural fibres and hand crafted in Plymouth. Our range of Vispring mattresses all come with a 30-year warranty and guarantee a great night sleep. Free 4” Sprung Bed Base –Experience optimum comfort from your Vispring Mattress, with our 4” sprung bed base. Designed to offer additional head to toe support and comfort, sink into your new mattress and experience a great night sleep. Need some help, on choosing the right mattress? Call our showroom on 01485 542516 and we’ll be more than happy to help. Expertly selected, Vispring blend their natural fillings, to the ultimate in comfort and support. Produced in keeping with age-old traditions, their Platinum British wool fleece and Western Europe cotton. Provide a luxurious comfortable feel, which naturally wicks away moisture from the body, helping to regulate your body temperature all night long. Treated with M-Pure, a chemical free flame retardant. 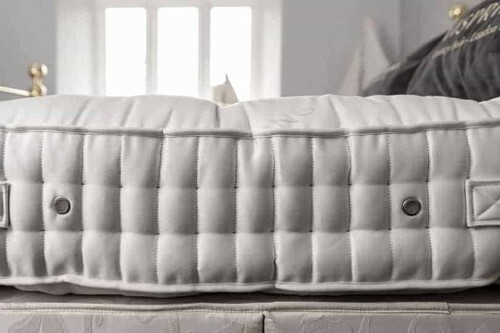 Vispring mattresses offer a comfort, cosy and natural sleep environment. 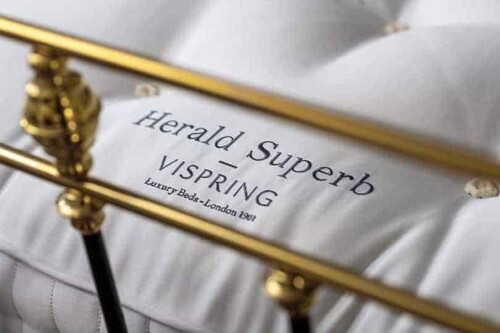 Hand crafting mattresses since 1901, Visrping have become an expert in the art of a perfect mattress. 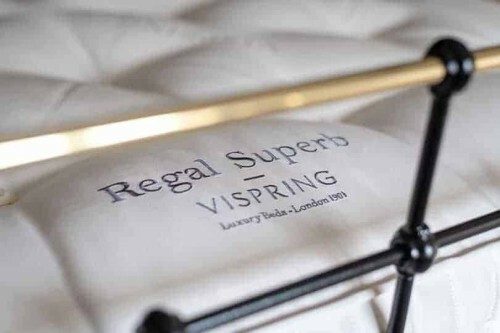 Loving hand crafted in Plymouth, each of our Vispring mattresses come with a 30 year guarantee. 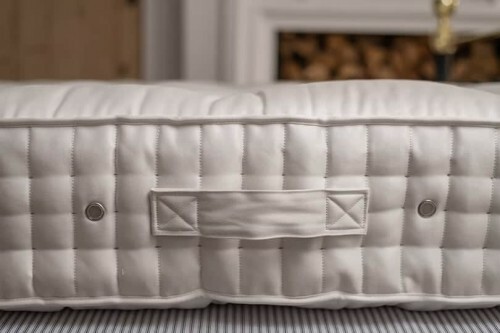 In the event of your mattress starts showing an imperfection, which is due to faulty workmanship or materials. Your Vispring mattress, shall be replaced or repaired free of charge. For more details on their 30 year guarantee and The Vispring Comfort Promise, please click here. 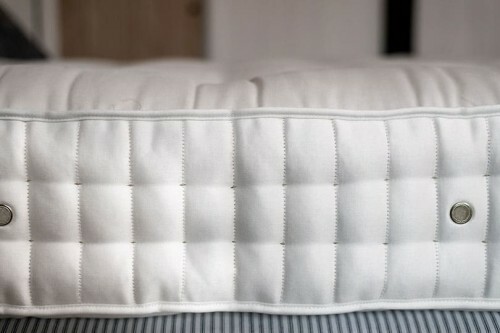 All our Vispring mattresses, come in either a soft, medium, form or extra firm spring tension. But when it comes to comfort, we all have our own individual preference. With dual tension available on all our Kingsize and above sizes, you no longer have to compromise on comfort. With two separate spring tensions, built into your Visrping mattress. 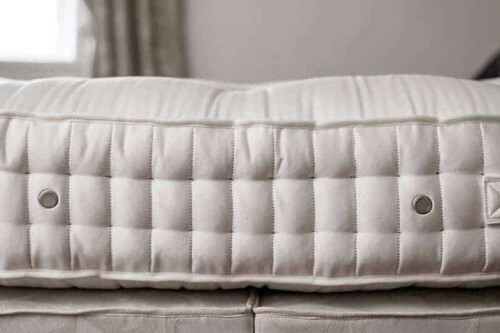 You avoid any additional lumping of edging, which you would experience from a zipped and linked mattress. Helping to create a smooth and soft, sleep surface and one you can enjoy together. At the heart of every Visrping mattress, is their vanadium pocket spring system. Hand-nested inside natural cotton calico pockets, they mould and contour to your body, providing head to toe support and uncompromised comfort.